Not every WordPress update goes as expected. WordPress websites can have a variety of problems, especially when there are incompatible themes or plugins. Some errors include the site being stuck on scheduled maintenance screens, white screens of death, or a website looking completely different after the WordPress upgrade. 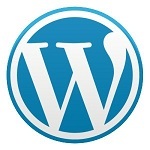 WordPress 4.8.1 was released yesterday, August 2, 2017. If you design or manage websites you are probably extremely happy about the fixes to the rich text widget and the new Custom HTML widget, and that’s because 4.8 broke about a million widgets for people who had HTML code inserted into text widgets. Within hours of 4.8.1 going live I was being notified by people reading this blog of yet more Aabaco problems. At the moment I’m not sure if this is a widespread problem accross all Yahoo Small Business hosting services or if the people who contacted me had a plugin which was incompatible with version 4.8.1. However these days most people have a hosting provider which responds immediately to help requests and also provides free backup services. If you are hosting your WordPress site somewhere that has poor tech support and does not provide backup services I would recommend that you switch immediately. I strongly recommend SiteGround to people every day. You can buy their hosting package here for under $4/mo. They will even move your site for free! And they provide free SSL/HTTPS services. Please note that is an affiliate link however I’d recommend them even without it. Great, great hosting service – I put valuable clients there all the time even though I own my own web server. Did WordPress 4.8.1 kill your website? Which web host you were using (GoDaddy, HostGator, BlueHost, etc). How did it break and how did you fix it? Which themes and plugins are incompatible with WordPress 4.8.1 (if applicable). Just comment below, we’d love to know.